Every visitor to South Africa must have a valid passport. 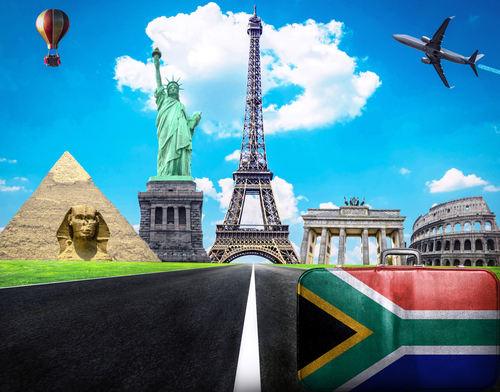 Passport holders from more than 80 countries, including USA, Canada, UK, Japan and the EU can visit South Africa without a visa. Information regarding visas can be obtained from your travel agent or the South African diplomatic or consular representative in your area. Passports should have at least 2 completely empty pages otherwise entry may be denied. Passports must be valid for at least 6 months after your intended date of departure. Delegates requiring visas, and who intend taking tours to neighbouring Southern African countries, are advised to secure a multiple entry visa. Tourists must satisfy immigration officers that they have the means of support for the duration of their stay in the country and return /onward tickets. Visas cannot be obtained on arrival. A list of countries that currently do not require a visa can be found at the SA Government website: www.home-affairs.pwv.gov.za/imigration/visas/schedule.htm.